Ever since young Sebastian heard of his grandfather's chance meeting with the great Victor Hugo in 1877, he had been interested in literature, paintings, and poetry. 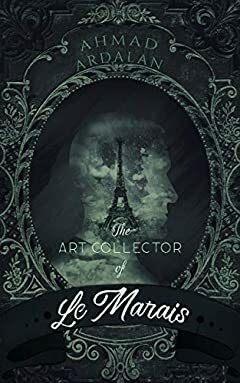 Wandering around various libraries and museums at an early age only stirred that curiosity into an immense passion within him, a deep love and desire for art.After realizing his dream of opening a gallery in the Le Marais district of Paris, Sebastian faces one hurdle after another. Bad luck, Betrayal, revenge, and fierce competition carry him to the verge of total collapse and failure, but through it all, one question remained: How much of his life would Sebastian sacrifice for art, his first true love?